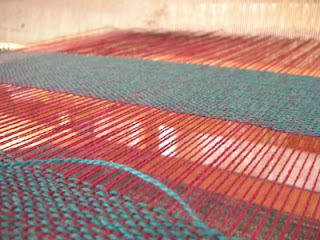 Well the second scarf is almost woven and I have to say I am not happy with either. The wool is to harsh and not pleasant to weave so a bit of a waste of time and resources. 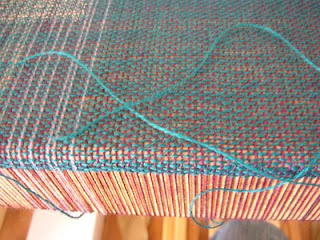 Well we live and learn, I was in such a hurry just to weave something and didn't do enough planning, so one must pay for ones mistakes! What is it that draws you to lacroix?